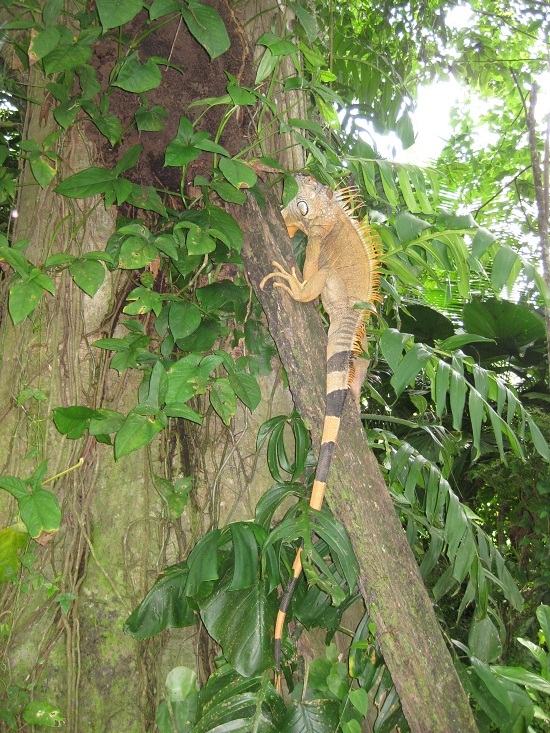 The dinosaur-like Green Iguana adds a touch of primitive wildness to the tropical forest of Costa Rica. 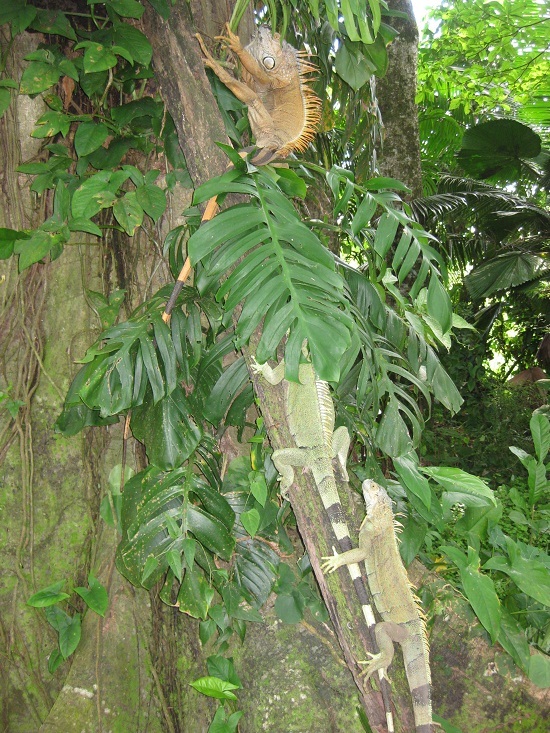 It is a symbol of rainforest well known locally as “chicken of the tree” because of its use for meat. 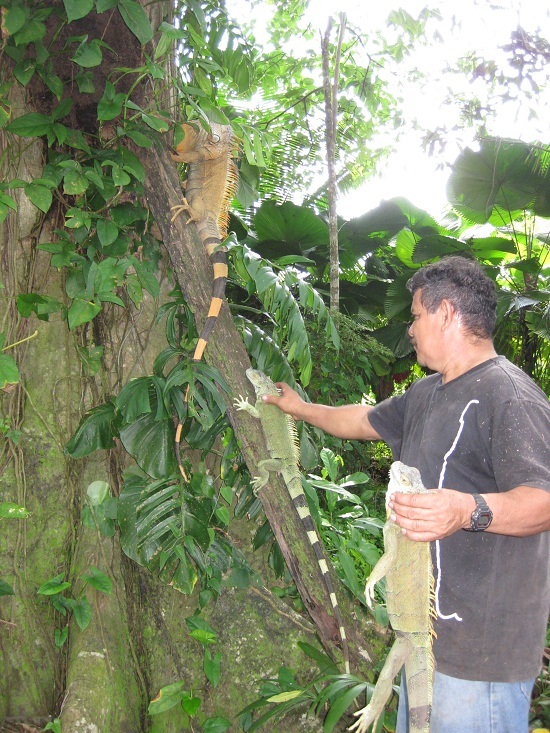 Here at Tree of Life Wildlife Center we sometimes receive iguanas that dropped out of the tree, mis-used as pets or wounded iguanas. 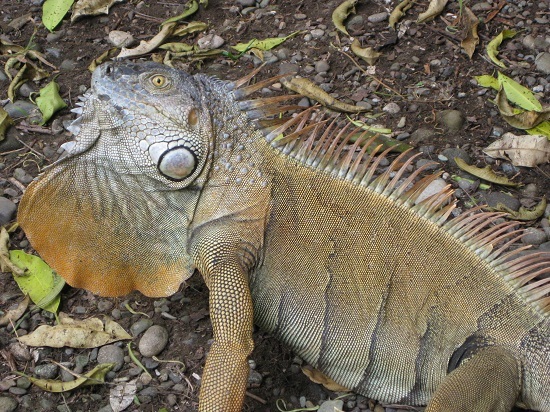 When an animal or human tries to catch an iguana, it will use its tail as an defensive mechanism. The tail is used as a whip, but can break of when it is held. Here they can recover and when ready they are released in this park area.